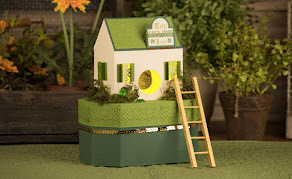 Brigit's Scraps "Where Scraps Become Treasures": Lori Whitlock Summer Blog Hop! 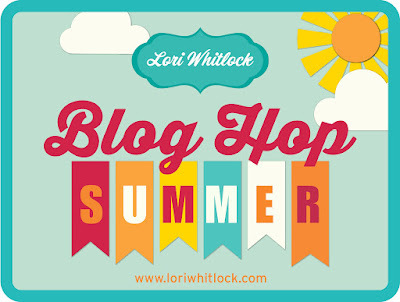 Lori Whitlock Summer Blog Hop! 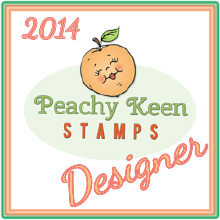 Hello everyone welcome to our Summer Blog Hop!! You should be arriving here from Lori's blog. 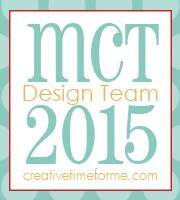 Become a follower and leave a comment below for a chance to win a $10 download card to the silhouette online store!! I'm so excited summer is finally here! We spend a lot of time out on our pontoon so it's definitely our fun in the sun and summer memories! This photo is of my youngest son Willie and his girlfriend Kristen. I used Lori's Ticket Shaped Frame and decorated it with paper and some elements from Echo Park's A Perfect Summer also designed by Lori. I really love this frame, it goes together so well and really looks great, would make such a nice gift. The sun and cloud are both from the Summer Icon set and the sailboat and water I downloaded from the silhouette online store here. Thanks for stopping by and don't forget to leave a comment, next stop is Christine's blog, hop on over for some more summer fun! Love this. I especially like all the little details you added....those fish are the cutest. Very PRETTY! I love it!! So so cute!! I love summer projects. They're just so happy!! Such a pretty project! I really like the way you pulled the different elements together. I'm into cardmaking, not scrapbooking, but can see using this kind of layout on a card, too. Oh, my goodness, what an adorable frame!! I love how you used all of the stickers and diecuts. Couldn't be any cuter. Great picture too! This is frame is just perfect! I love it! This turned out wonderfully. TFS. Adorable Brigit! 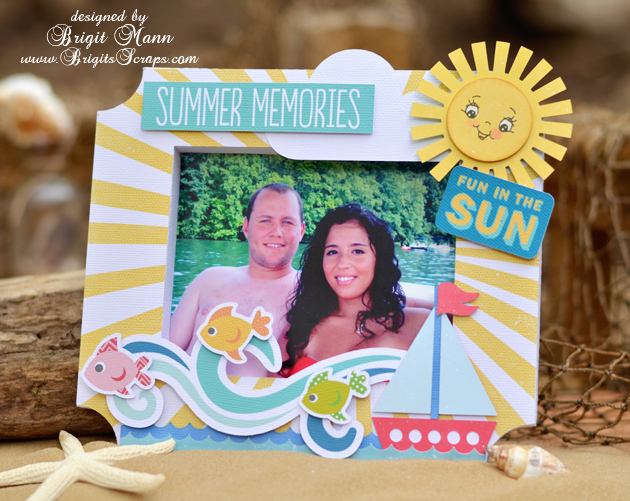 Love all of the cute summery elements you added to this frame!! You've inspired me to make one!! Super cute....always looking for some summer fun projects for my vaca pics !! Love this summer colors, details and the cute little fish! Really love your project, so adorable!!!!! Love the frame ... it is adorable! Love the colors ... so summery & bright. Goes perfect with the picture. How cute and summery. I like your design. Super cute Brigit! I've been looking at all the cute frame choices and wondering if they were hard to put together. I better get one and try it. As always, I love all your work! Awesome! Thanks for the inspiration! Brigit - Love this frame, it's so cute. Love your stuff - have been having a look around. You're projects are always so bright happy and colourful. Brigit - your frame is so darn cute - I love it! Perfect for the photo of your son and his girlfriend! This is such a beautiful frame! 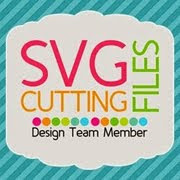 I love the colors and all the cut files you used!! Thanks so much everyone, and congrats Sandee on winning the gift card!! Two Peas In A Bucket Sales!